Phoenix, Arizona—January 6, 2017—FastMed Urgent Care has announced a new membership program offering simplified, affordable care at its Joint Commission-accredited urgent care centers. 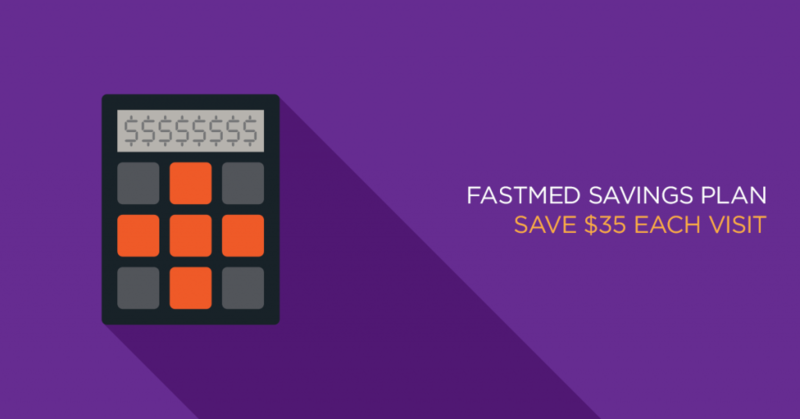 The FastMed Savings Plan provides discounted access to any FastMed Urgent Care for an annual membership fee of $35. The plan also covers spouses and children under the age of 18 living in the same household. FastMed Savings Plan members receive $35 off all self-pay urgent care visits. This includes all in-house treatments and services detailed in the welcome letter and enrollment form members receive for one low price per visit. Treatment is provided by the licensed medical professionals at FastMed locations throughout Arizona, North Carolina, and Texas. As an added benefit, annual membership includes a prescription drug discount card, subject to availability, for additional savings on brand name and generic drugs. FastMed is the fastest-growing urgent care provider in the nation. For details on the wide range of treatments and services covered under the new membership program, visit www.FastMed.com.